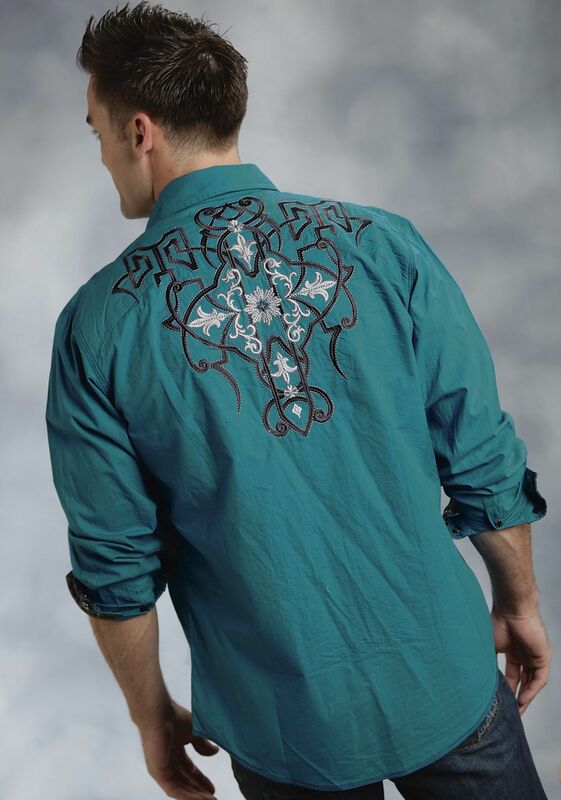 This black western shirt with turquoise embroidery is inspired by saddle leather tooling throughout: front, back and Shotgun cuffs. 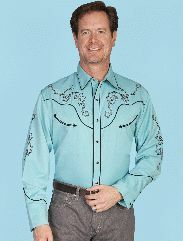 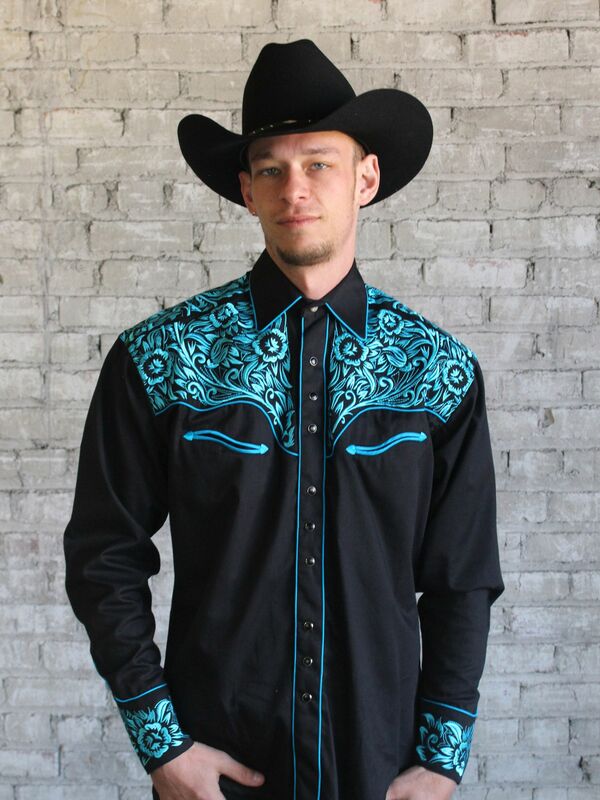 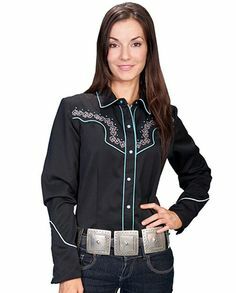 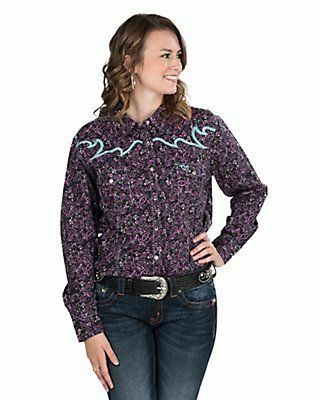 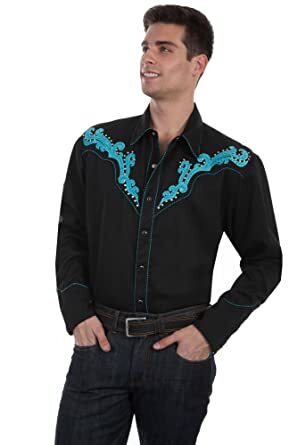 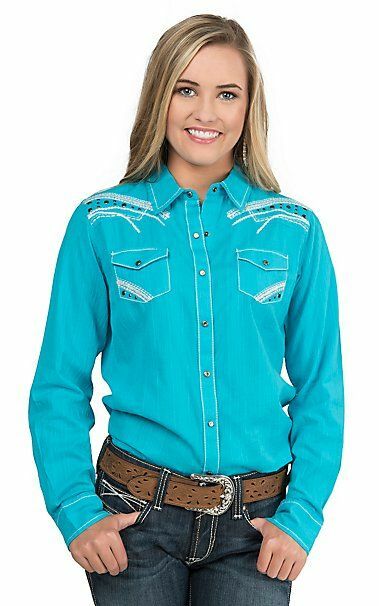 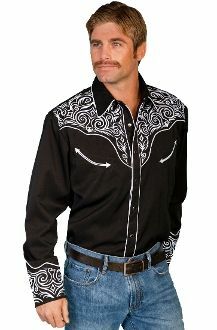 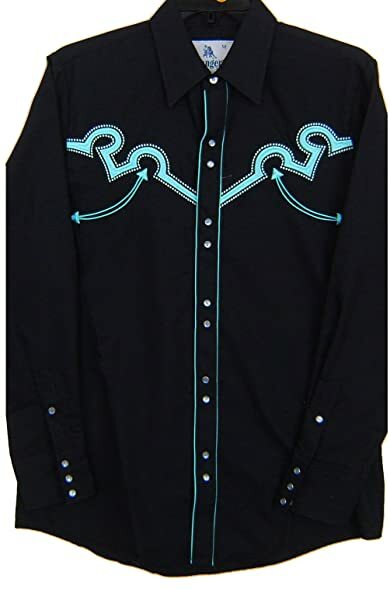 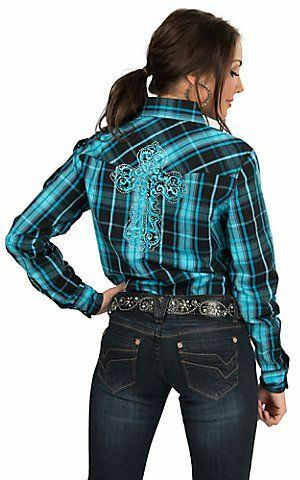 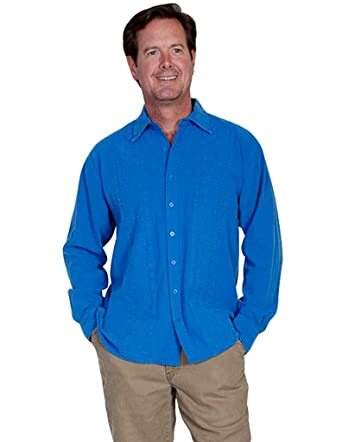 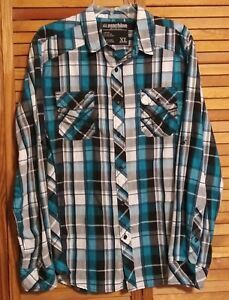 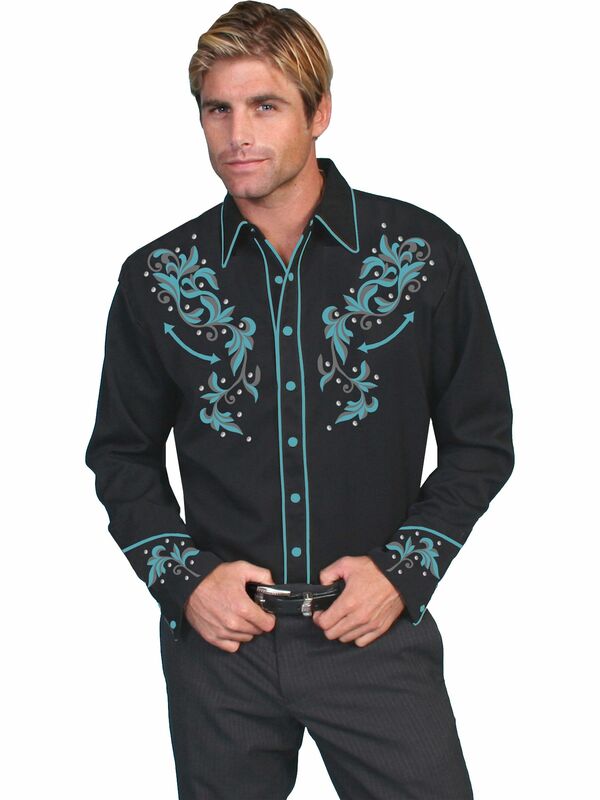 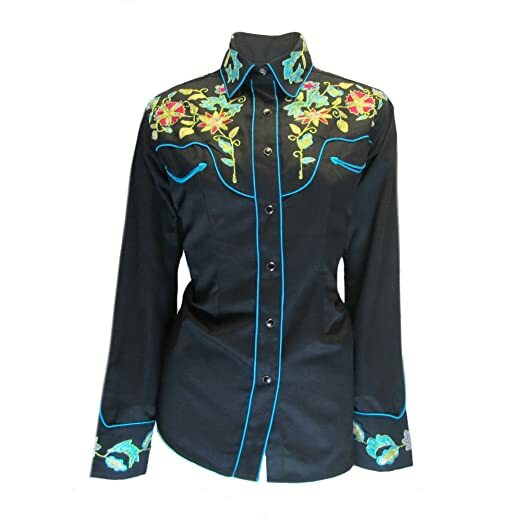 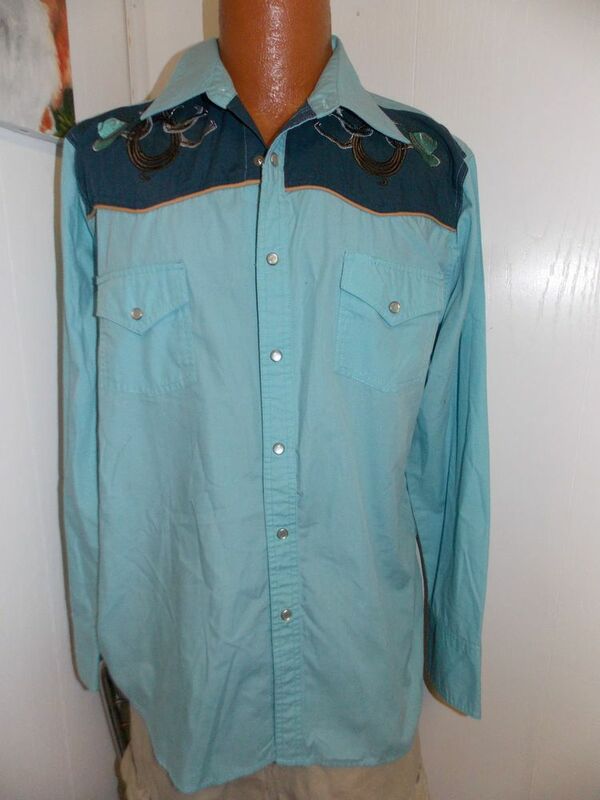 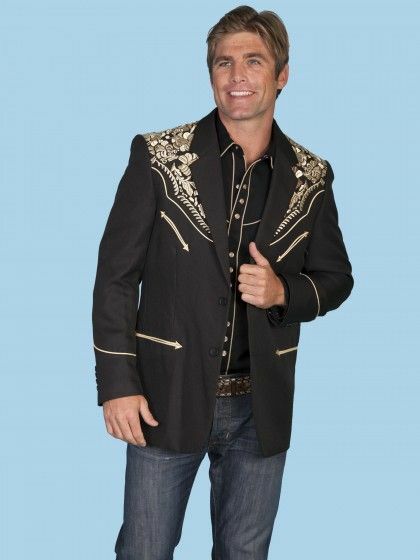 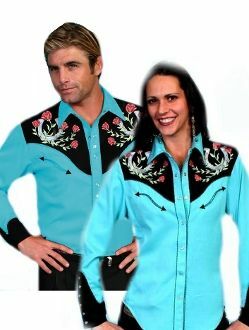 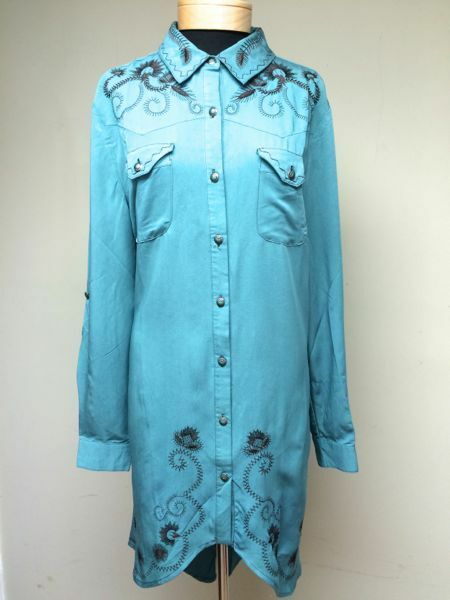 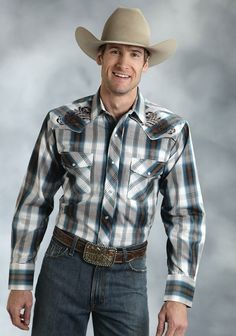 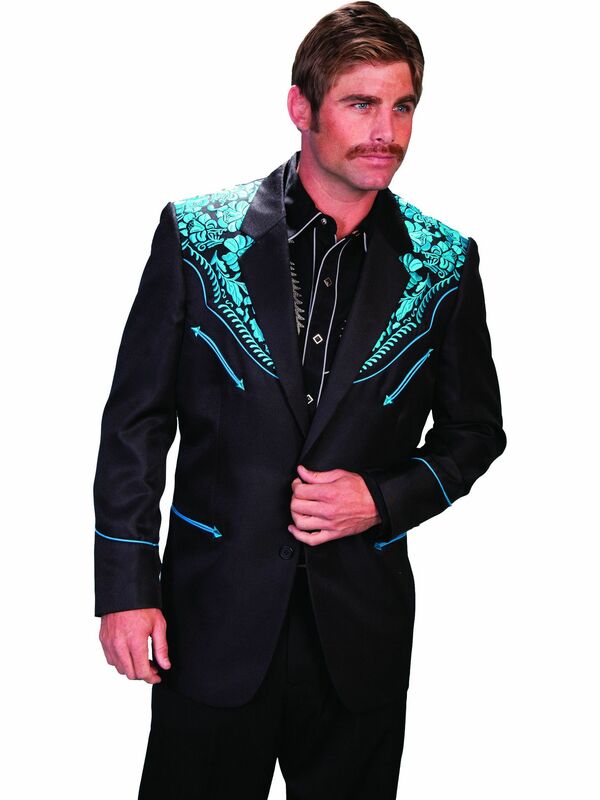 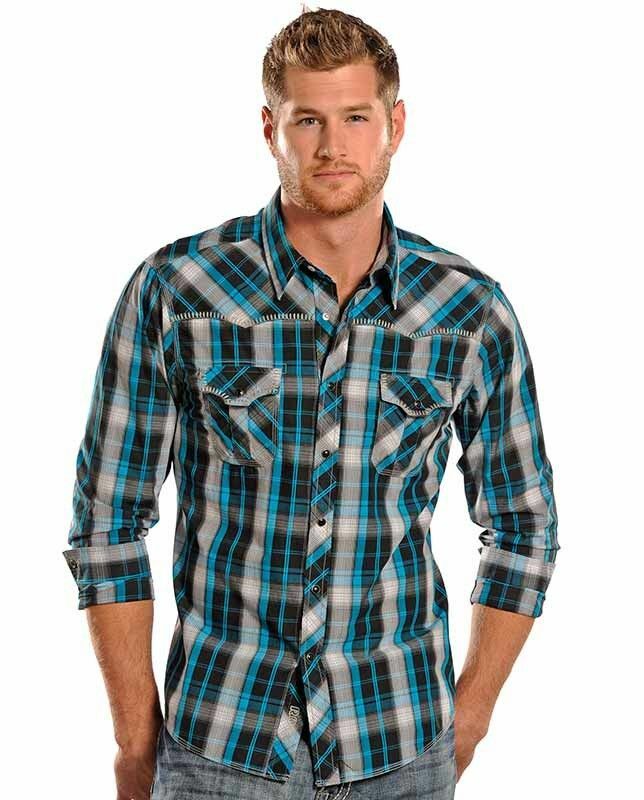 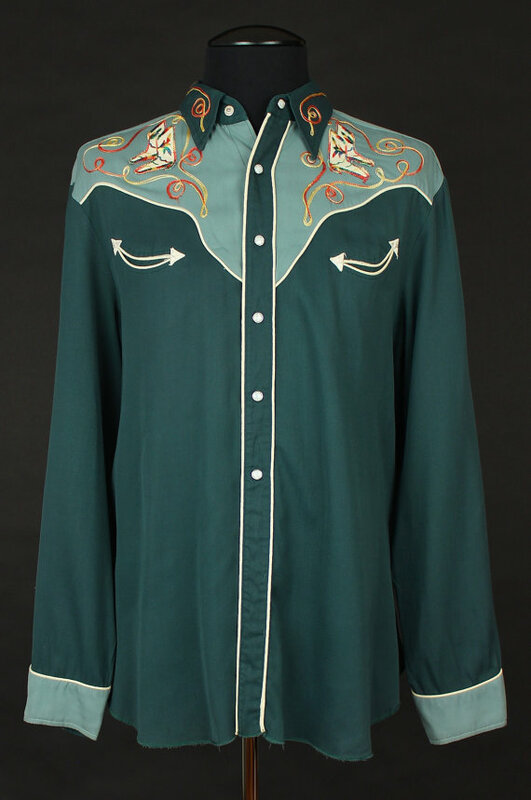 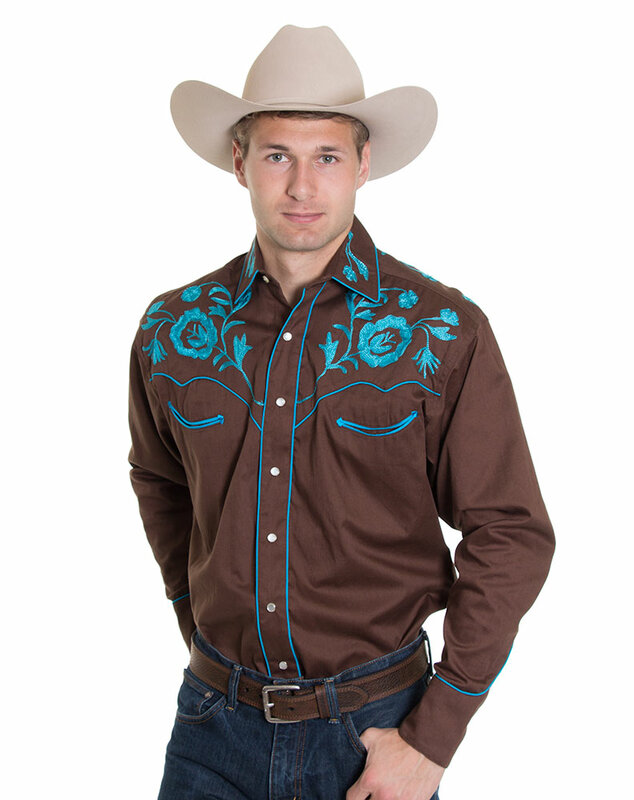 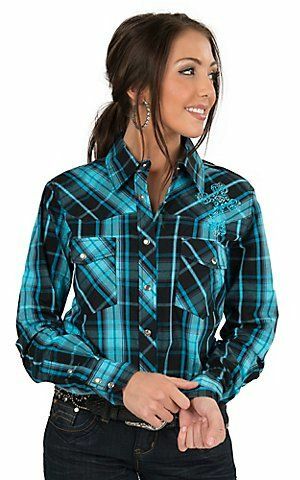 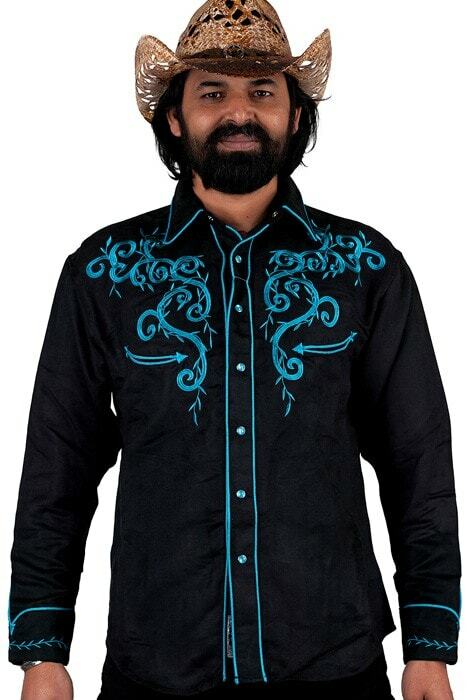 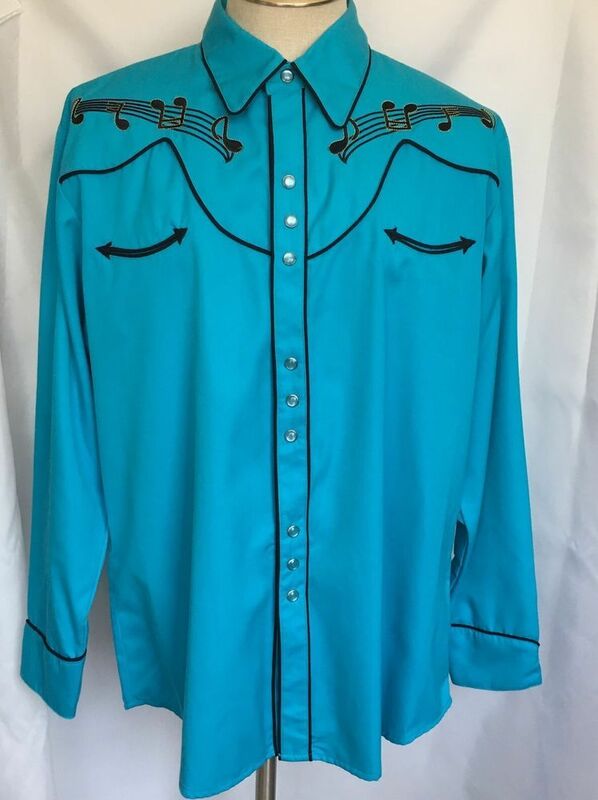 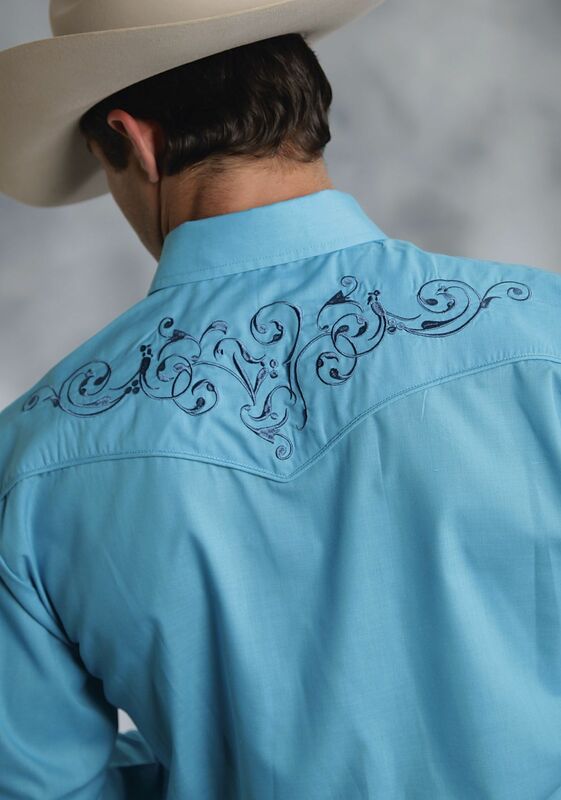 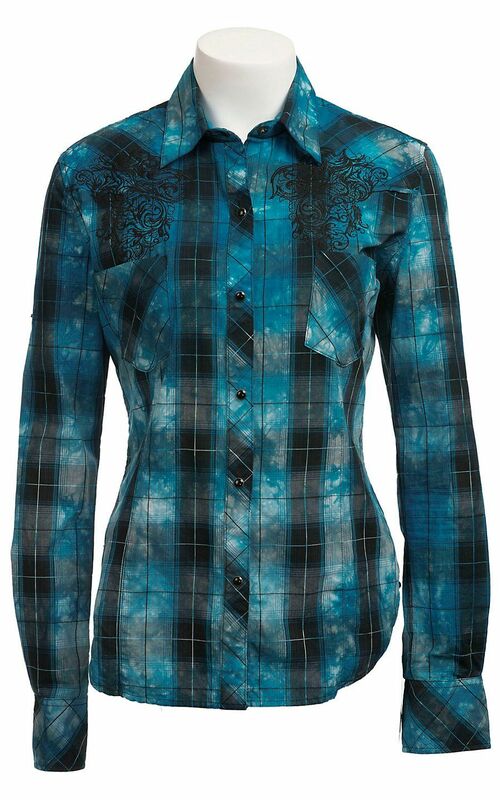 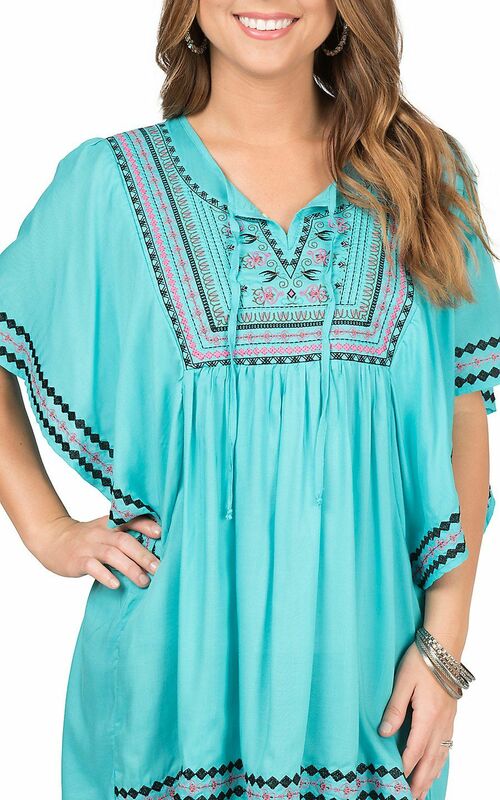 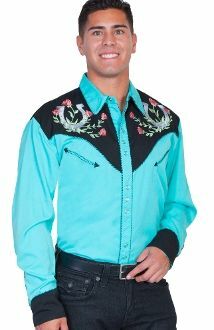 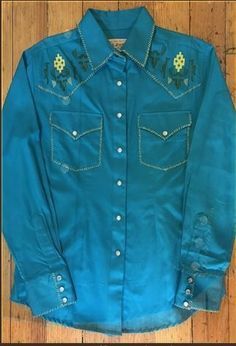 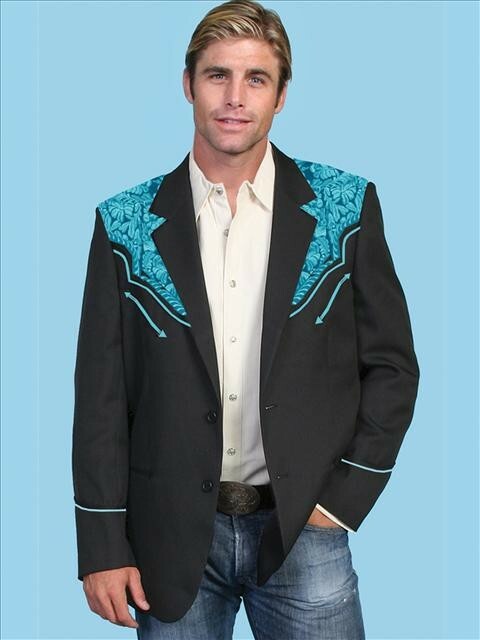 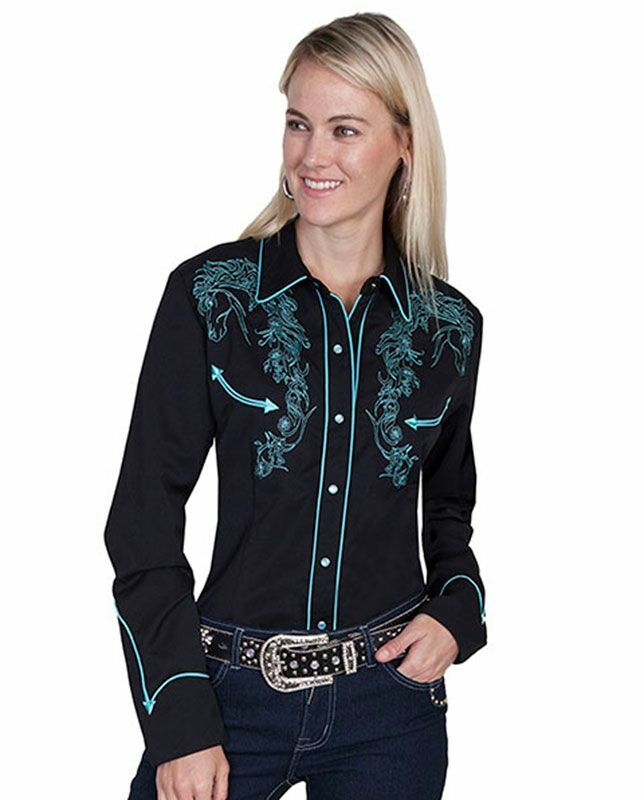 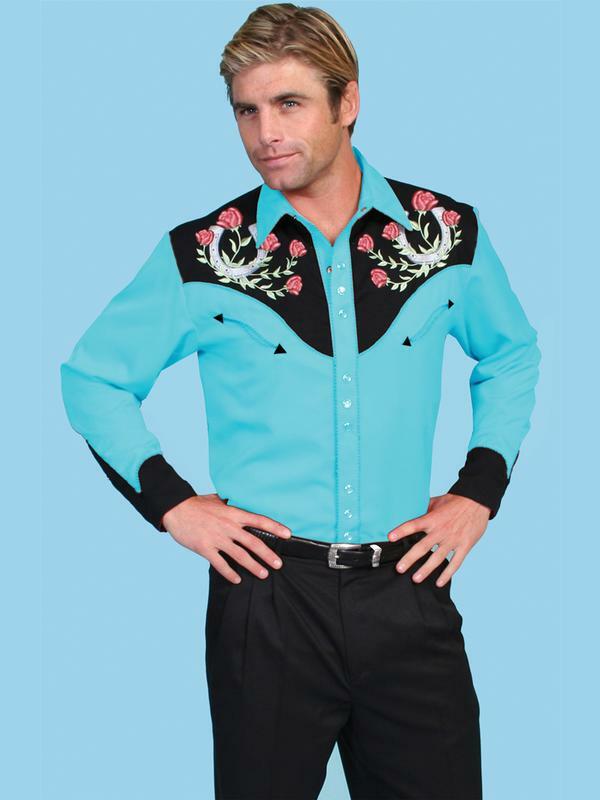 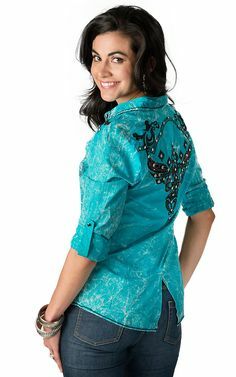 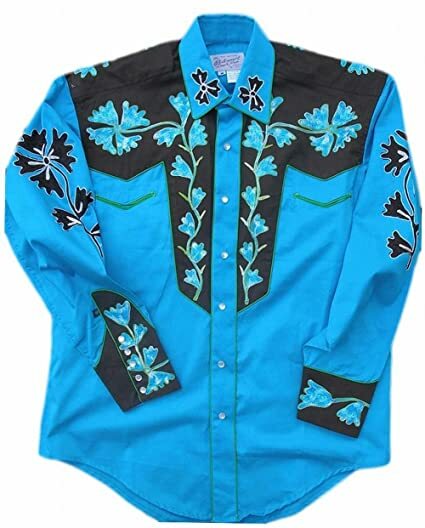 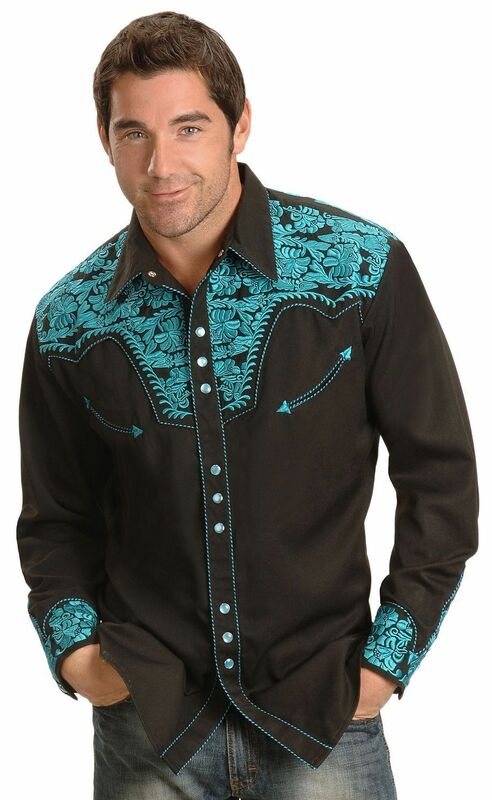 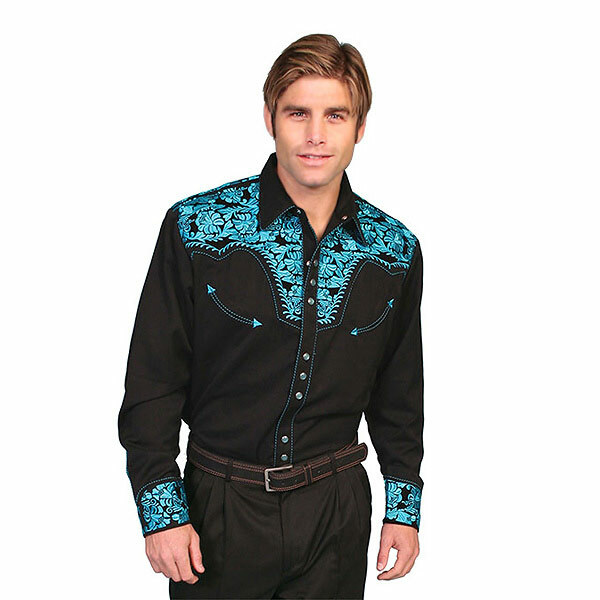 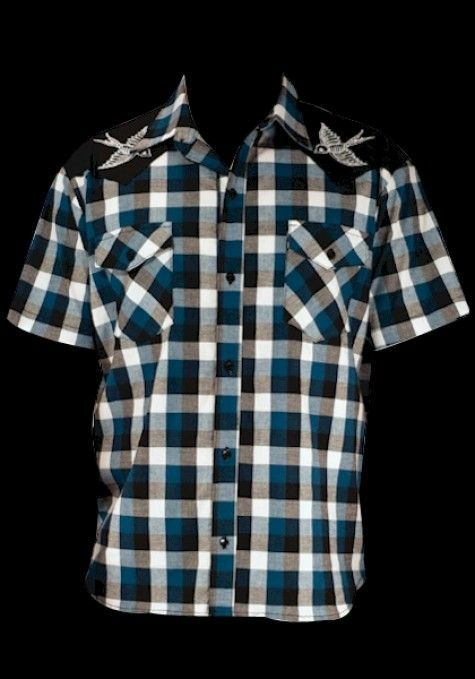 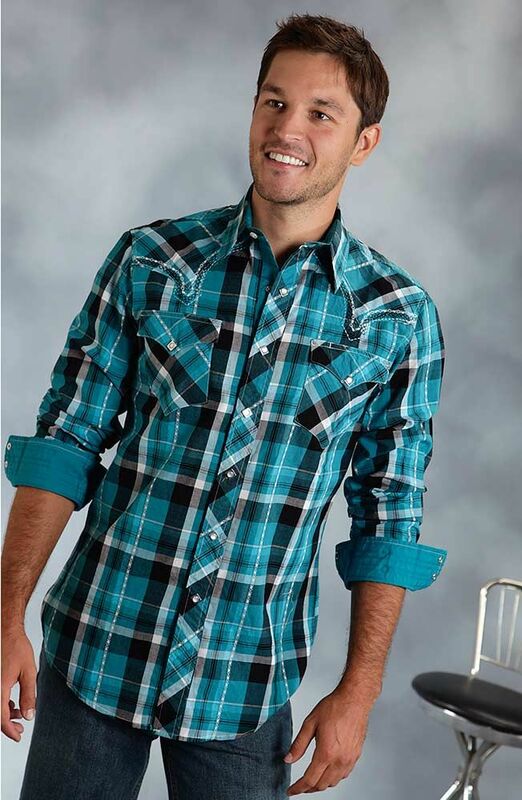 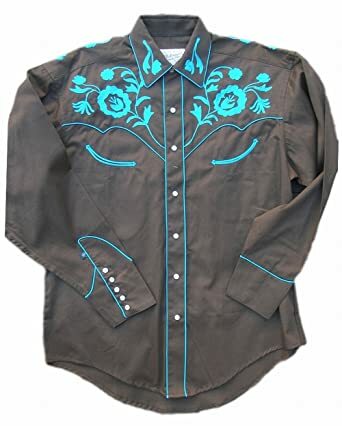 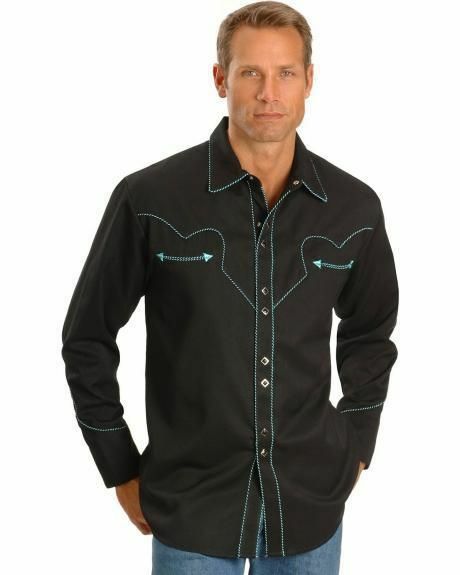 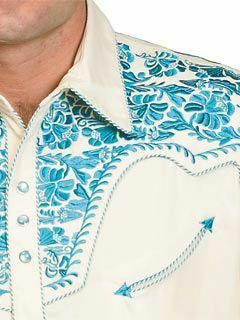 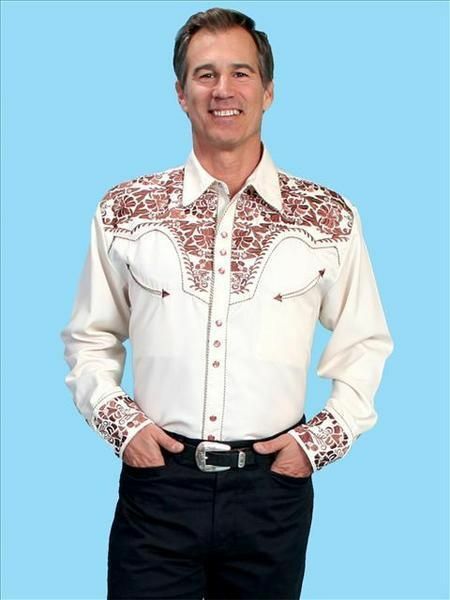 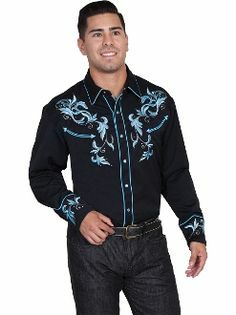 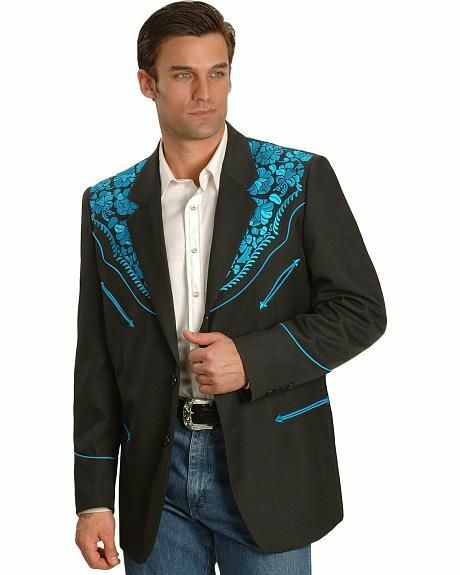 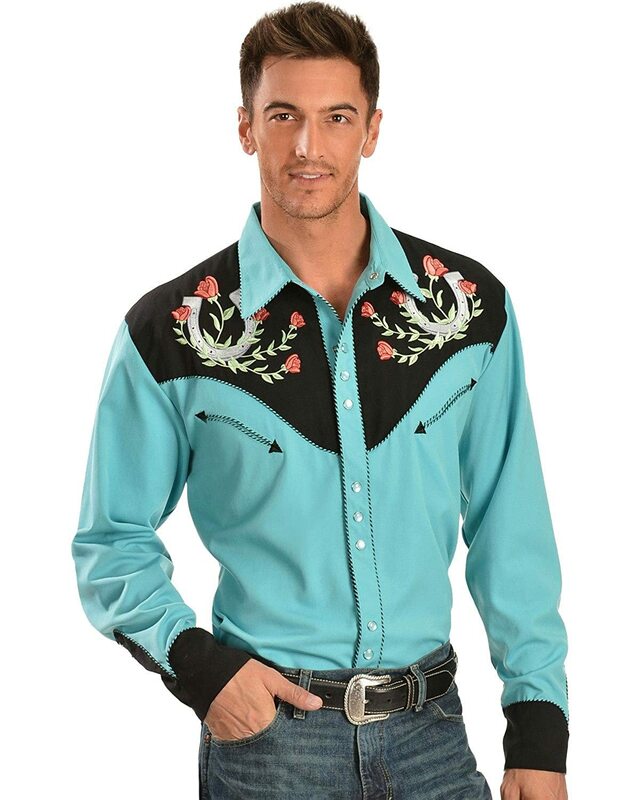 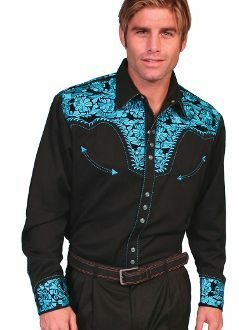 From Scully®: This is one cool, black cowboy shirt with an intricate turquoise embroidery and studs on the yokes & cuffs. 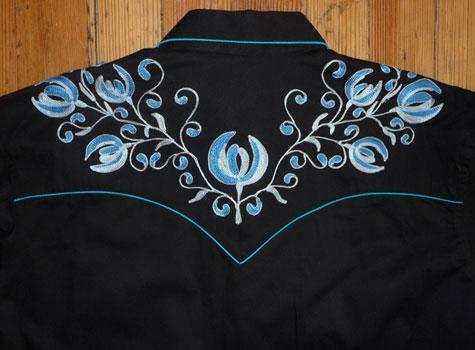 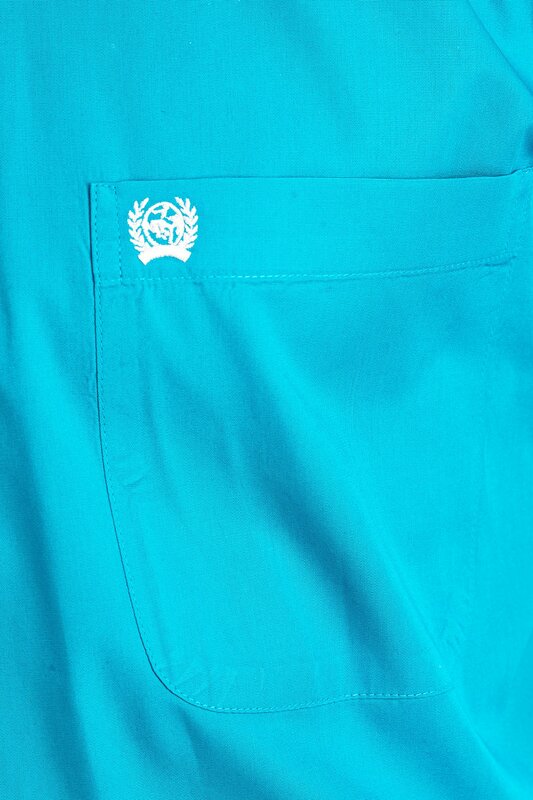 It'd make a great show shirt!